LONG ISLAND, N.Y. September 6, 2018 Alternative EarthCare has been providing quality residential and commercial services across Long Island, New York since 1996. 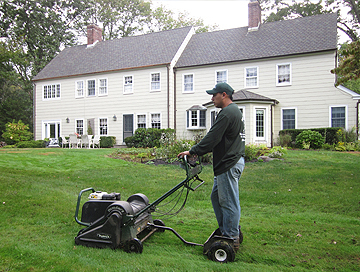 Specializing in mosquito, flea, and eastern end of long islandtick control, traditional lawn services (including aeration and seeding), irrigation system services, tree removal and pruning, and Christmas and holiday light installation, the team of professionals successfully caters to your needs in the least toxic, most organic way possible. The early fall is the perfect time to aerate and seed lawns to get them ready for next spring. Particularly, those with cool season grasses, such as Kentucky bluegrass, perennial rye grass, and fescue, will benefit from aerating and seeding this time of year. Aerating not only improves the health of the lawn itself, but it also helps to provide a healthy environment for tree and plant roots to thrive. Alternative EarthCare discusses when and why to aerate and seed the lawn. When to aerate the lawn Any time a lawn needs aerating is the best time. A healthy lawn impacts more than green grass. To determine whether or not a lawn needs aerating, test a section. Remove a small section of the lawn and look for shallow roots, between 1-2 inches long and compacted soil. If either appears to be present, a professional service should be called to aerate and over-seed if necessary. If there are many bald spots present, patchy grass or crabgrass, seeding at the time of aeration along with fertilization is recommended. 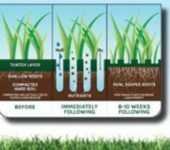 Why aerate the lawn Aerating makes lawns healthy by ensuring that nutrients can reach into the soil beneath the grass, allowing water and air to penetrate the ground and roots. If the soil is too compacted, root systems can be starved of essential nutrients that they need to thrive. Neglecting lawns that need aeration can have a negative impact on trees and other plants on the property. Have a professional service provide an estimate for core aeration for the overall health of the property. When to seed the lawn Early fall is the best time for seeding due to heavy dew and optimum temperatures. However, depending on the type of grass being planted, optimum seeding times may vary. Cool grasses prefer temperatures between 60-80 degrees, and should be seeded around Labor Day. Warm grasses should be seeded in the Spring. 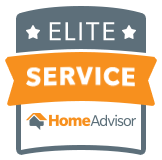 By choosing our services, you can rest easy knowing that we won't be poisoning your property in order to improve its appearance. Now is the time to contact one of our professional staff managers that can help you utilize our services in order to help ensure that your trees, plantings and landscape are healthy, insect free, properly watered, and remain free of poison ivy all season long. Remember, our services include organic and least toxic methods.